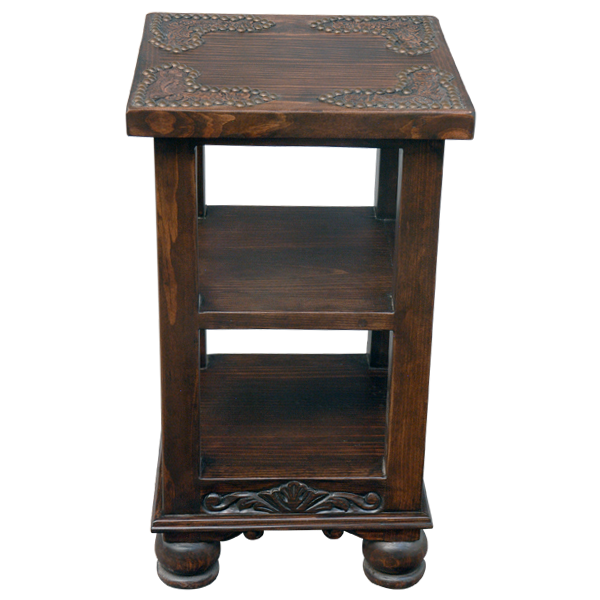 With its narrow designed frame, this Western style, handcrafted end table is perfect for the smaller spaces in your home. 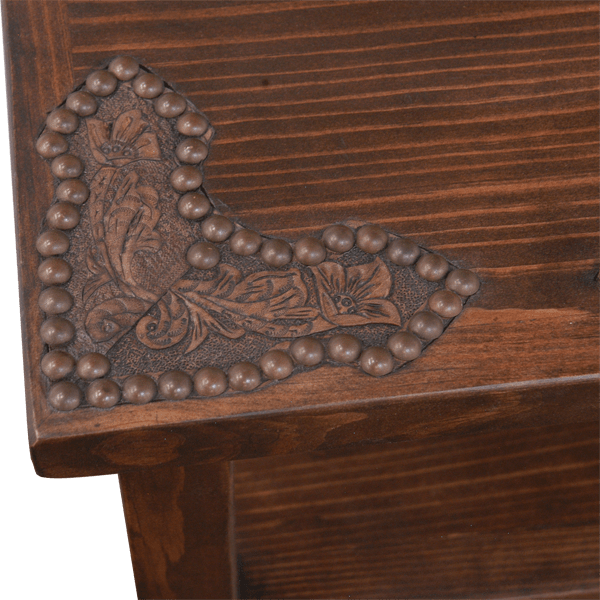 The rectangular top of this custom end table is embellished with floral, designed leather placed in its corners. The leather is precision hand tacked to the top with beautiful, decorative nails. Below the top of the end table is a middle tray and base, and the base acts as an additional tray. 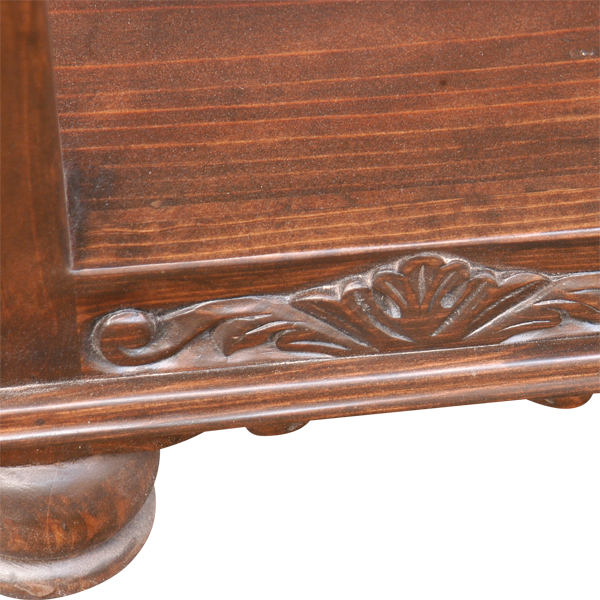 The base of the end table is adorned with lovely, hand carved, floral designs, and it is supported by sturdy, hand turned, bun style feet. The dark finish of this table will easily blend with your existing home décor. Both durable and functional, this custom furniture is made with the best, sustainable, solid wood available, and it is 100% customizable.